An electric guitar app using physical modeling. 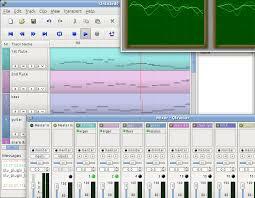 Faust was used to implement its sound synthesis/processing engine. 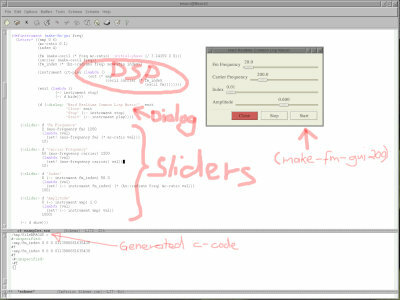 An IDE for Faust. Allows Faust programmers to visualize block diagrams, corresponding C++ code, compile to various Faust targets, etc. An on-the-fly compiler for the Faust programming language using the LLVM technology. 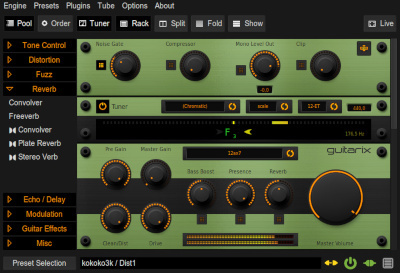 An audio plug-in for guitar effects who's sound processing engine is written in Faust. 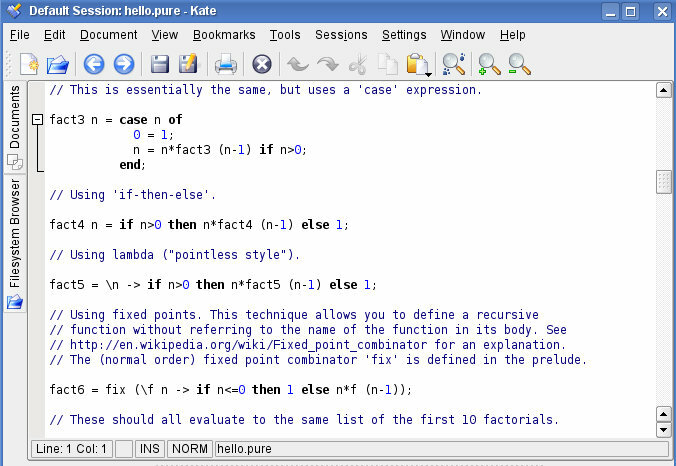 Pure is a dynamically typed, functional programming language based on term rewriting. It has been created by Albert Gräf. 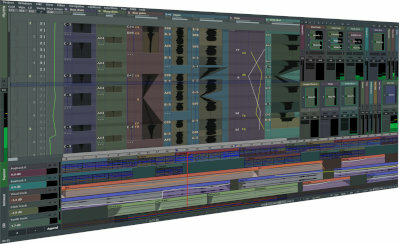 Snd-RT is the realtime extension for the sound editor SND. FaucK is a Chugin allowing to combine the Faust language with the strongly-timed ChucK audio programming language. Foo YC20 is an open source implementation of the Yamaha YC-20 combo organ from 1969. 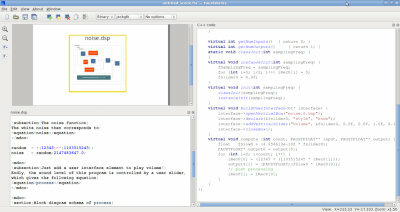 This project provides a VST plugin architecture for the Faust programming language. This project provides an LV2 plugin architecture for the Faust programming language. 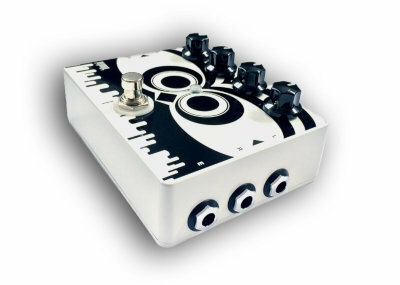 The OWL is an open source, programmable audio platform made for musicians, hackers and programmers alike. 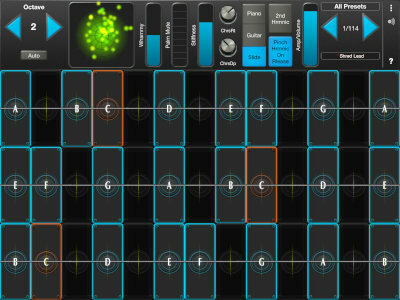 An app implementing various guitar effects to be used on stage. 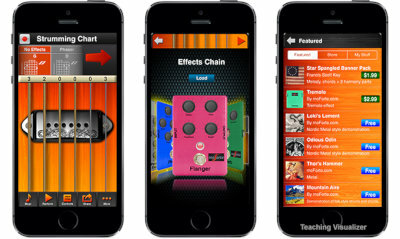 An app that can be used as an electric guitar and whose sound synthesis engine is implemented in Faust. pMix (short for preset mixer) is a sound design, composition and performance tool that facilitates the control of multiple parameters using an intuitive graphical interface. 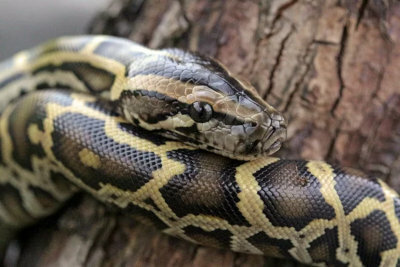 FaustPy is a Python wrapper for Faust. It is implemented using the CFFI and hence creates the wrapper dynamically at run-time. A set tools around Ambisonics. 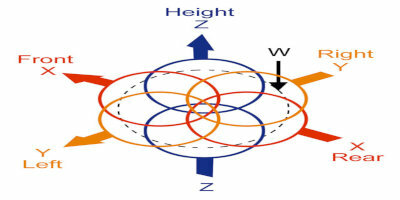 The Ambisonic Decoder Toolbox is a collection of MATLAB and GNU Octave functions for creating Ambisonic Decoders. 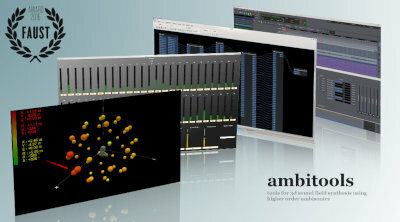 Ambitools is a collection of plug-ins and tools for 3D sound field synthesis using Higher Order Ambisonics (HOA). 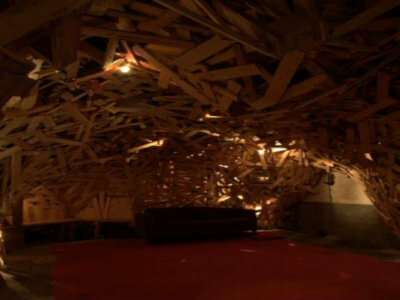 HOA Library allows musicians and composers to synthesize, transform and render sound fields in a creative and artistic way. 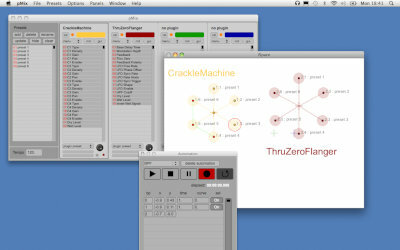 Bela is a maker platform for creating beautifully responsive audio and interactive applications. 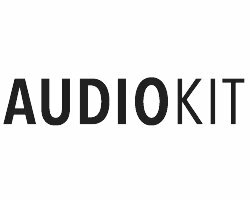 AudioKit allows developers to quickly add professional audio functionality to iOS, macOS, and Apple Watch apps. 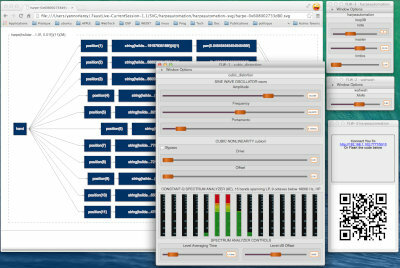 The Ear Tone Toolbox is a collection of unit generators for the production of auditory distortion product synthesis. A collection of projects by Bart Brouns and based on Faust. The BladeAxe is an electric guitar physical model controller using Faust for sound synthesis and processing. The PlateAxe is a percussion instrument physical model controller using Faust for sound synthesis and processing. 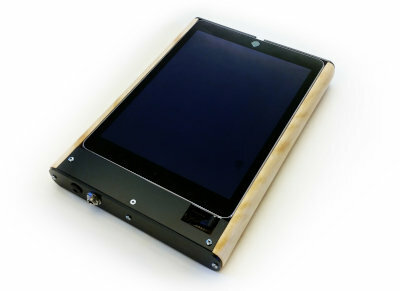 The OTTO is a complete hardware and software solution, with synths, a sampler, effects, sequencers, and studio modules. Nuance is a pressure sensitive music controller that uses Faust for sound synthesis and processing. 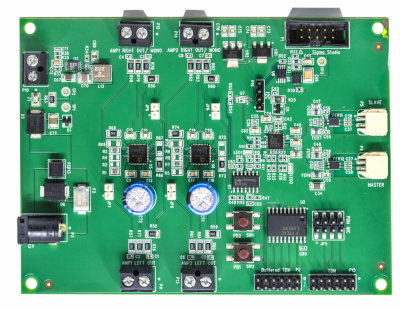 The ADI SHARC DSP board fully supports Faust. 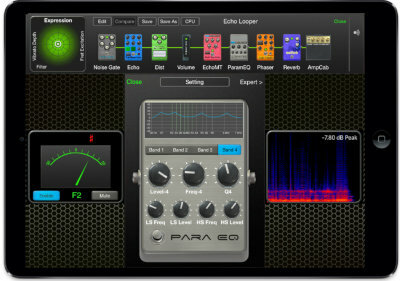 Dynamic PedalBoard allows users to plug different stompboxes together in a web browser. 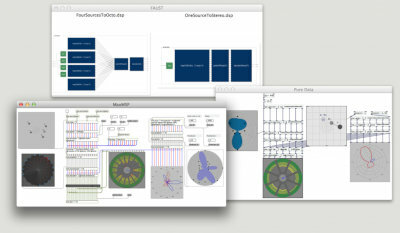 Collection of tools for mass-interaction physical modeling in Faust.